We’ve all done it. We start off the new year with a vengeance by spending a small fortune on supplements only to have them collect dust in our kitchens or bathrooms. Why is something as easy as remembering to take our vitamins so difficult for most of us? Vitamin supplements can be a fundamental part of a healthy diet, especially if you are starting the new year with a calorie-restricted diet or cleanse. Like so many things in life, when it comes to reaping the benefits of your supplements, consistency is key. But making something into a habit takes regular reinforcement. Here are a few simple healthy life hacks to help get you on autopilot with your supplements. The simplest way to create a habit is by attaching it to a pre-existing habit. Choose something you are already absolutely diligent about – making your morning cup of coffee, brushing your teeth, feeding your pet, checking your email – and put your supplements in the way of carrying out one of these tasks. For example, don’t simply place your vitamins on the kitchen counter; put them right on top of your coffee machine, in your coffee mug or on top of your dog’s bag of kibble. Rather than on your bathroom counter, put your supplements underneath your tube of toothpaste. Or plop them down right next to your computer mouse – any place where you simply cannot avoid seeing or touching them to get them out of the way in order to proceed with your normal activity. Tip: Always keep a small bottle of water at hand by your supplements, so you can quickly swig them down. These days most of us live and die by our phones. Set specific alarms on your phone to remind you to take your supplements (and make sure you’ve placed them in a convenient place when you hear that alarm go off). Or use one of the myriad of apps available (MyFitness Pal, Vitamin Reminder, Nutrition Journal) to receive regular reminders. This is one of those “simple, but not easy” hacks: educate yourself so you understand what your supplements are really doing for you. When you know and understand the essentials of your vitamins and how they work, it brings an imperative awareness to the purpose behind them. Instead of thinking of your supplements as just another random thing you “should” be doing, take the time to read about how your specific supplements can help your body and brain to perform optimally. Once you really understand the “why,” you’ll likely place a higher importance on taking your supplements regularly. Remember when your mom used to pull out the old, “finish your dinner, there are children starving to death in Africa” line? Generally, that brand of logic is wasted on kids, but now that you’re an adult you probably realize just how accurate and profound it is. Try thinking of your supplements as the “luxury” they truly are. 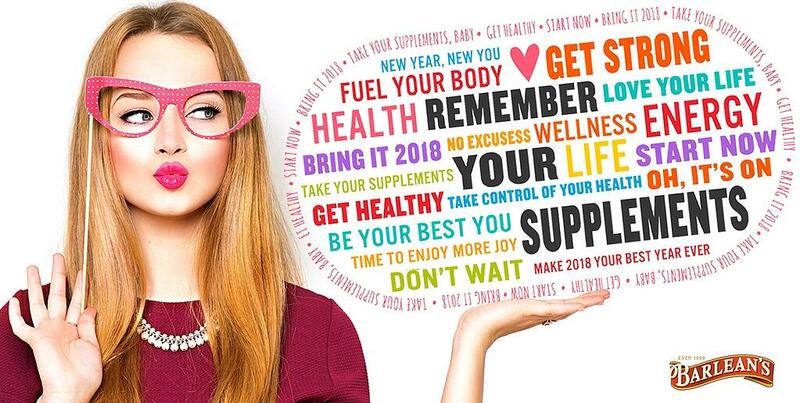 Re-frame the idea of fueling your body with quality supplements in the same way you think of getting a massage or pedicure, or going to the movies or a concert - anything you do to treat yourself or improve the quality of your life. Be grateful that you have both the knowledge and resources to give yourself the gift of better health. If you stop taking that gift for granted, you’ll be more likely to follow through. Sometimes a super-simple, low-tech solution is the one that works the best. Put a note on your refrigerator, something fancy and bright, as a constant reminder to take your supplements. Click below for free printable "Remember Your Supplements" notes.